Anna E. Cottrell, has worked in the fashion district of New York City as well as the corporate division of fashion powerhouse, Neiman Marcus in Dallas, TX. 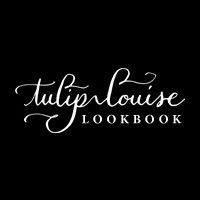 In 2010, Anna began focusing her attention on developing her own company, Tulip Louise, which offers editorial styling, personal styling, and fashion writing. Styling everything from editorial shoots to online campaigns, special occasions and everyday looks. Keen on the latest trends, Anna’s artistic sensitivity has always kept her on the cutting edge and unafraid to make bold choices. In 2012, Art Directing photoshoots for GILT Groupe [in Brooklyn, NY] served as one of the happiest of times for her. Cottrell's personal style has been featured inside the pages of InStyle Germany, Lucky Magazine, on NYMag's The Cut, as well as ELLE.com. In 2013, Cottrell returned to her native Northwest Arkansas as owner, buyer and creative director of Lola. Cottrell has since been named one of the "most stylish entrepreneurs" by Southern Living Magazine. Over the past few years, a favourite past-time of Cottrell's has been covering backstage at New York Fashion Week for some of the greats [i.e. Oscar de la Renta, Marchesa, Rag & Bone, J.Mendel, etc] for Revlon... experiences she holds very dear to her heart.